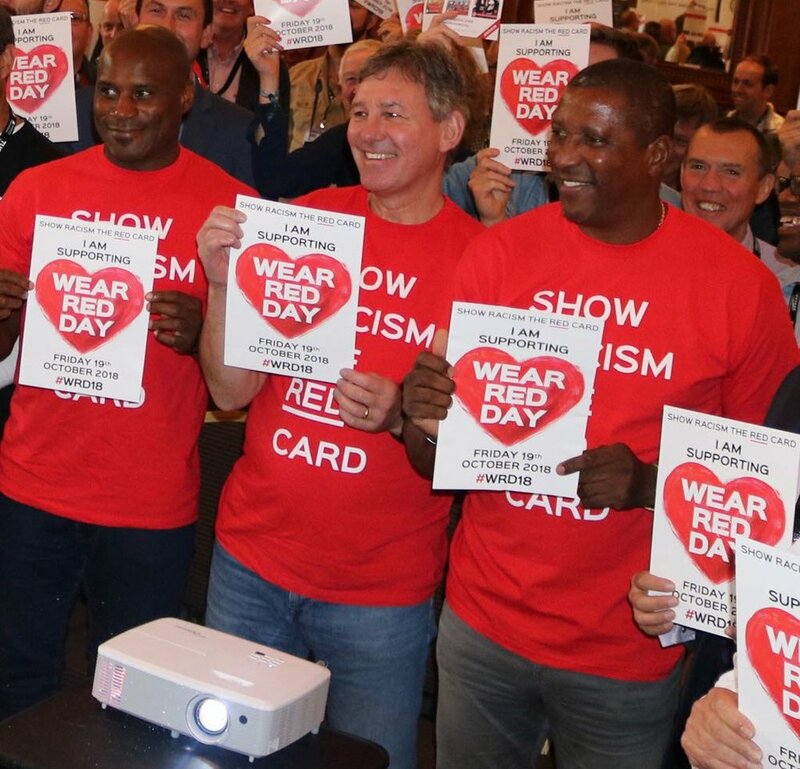 Show Racism the Red Card - "The Queen sent me a telegram, as did Elton John, so clearly it was a big thing at the time but not for me,"
Viv Anderson is a former professional footballer who made well over 600 professional appearances throughout his career for both club and country. Nottingham Forrest, Arsenal, Manchester United and Sheffield Wednesday are just some of the clubs he played for. Viv also represented England at international level and he went to the 1982 and 86 World Cup with the national team. This Thursday, 29th November, will mark forty years since Viv made his first appearance for England in a 1-0 win over Czechoslovakia, subsequently this match was significant as it meant that Viv was the first black player to represent England at international level. "The Queen sent me a telegram, as did Elton John, so clearly it was a big thing at the time but not for me," – Viv speaking with BBC Nottingham in 2010. Viv has been a long-time supporter of Show racism the Red Card and he was one of the first professional footballers to work with the organisation to help educate young people about racism and anti-racism. Tonight Viv will feature in a two-part series called ‘Out of Their Skin’ which tells in depth the story of the progress made by ethnic minority footballers across five decades up to today with a look at the challenges still being faced in 2018.